Residents in Lexington can access efficient cooling in their homes when boiler systems are in place. Climate Control offers a ductless mini split system that is compatible with boilers and offers easy installation. Check out the benefits for yourself and see why ductless mini split systems are the best option for your cooling needs. Ductless mini split systems are small, compact heating and cooling systems that do not require the aid of ductwork. You can control the temperatures of individual areas of your home with one of these systems. The compactness of the unit includes two main components, the outdoor compressor/condenser and the indoor air-handing unit – multiple air handlers can be installed to serve all areas of the home. 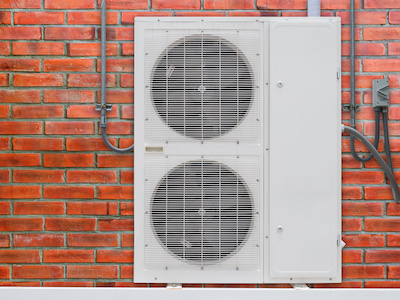 Both components are connected by a conduit, which houses the condensate drain, power cable, and suction and refrigerant tubing. Are the Benefits Worth the Investment? The benefits of a ductless mini split system are two fold. There are advantages of the design of the unit, which offers flexibility for the interior design of your home. The unit is versatile for several different situations. You can use the mini split for whole home heating and cooling or retrofit them as add-ons for homes without ducted heating systems – making them perfect for homes with boiler heat. The biggest advantage is that without ducts, you don’t risk the chance of wasted energy. Typical forced air ducts cost a homeowner close to 30% of excess energy when cooling their home. Without the ducts, your cooling system is able to cool your home with less energy and it can be controlled more easily. Without the ductwork to install with the mini split, the installation is easy and quick, and you will save the expense of duct installation. A ductless mini split is perfect if you have a boiler system already installed. Call Climate Control today and see how we can help you achieve cooling with no ducts and no fuss!